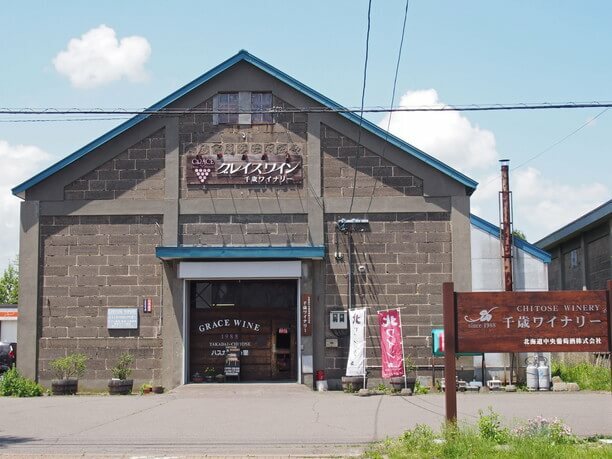 Let’s take a look at the Chitose Winery made of Sapporo soft stone! 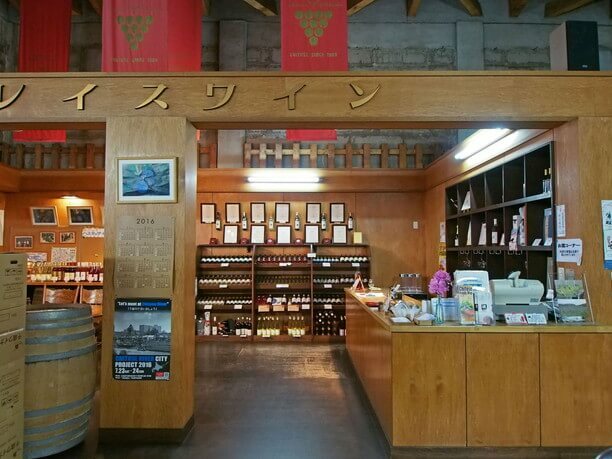 The Chitose Winery was founded in 1988 as the second winery of a long-established store in Katsunuma, Yamanashi Prefecture. 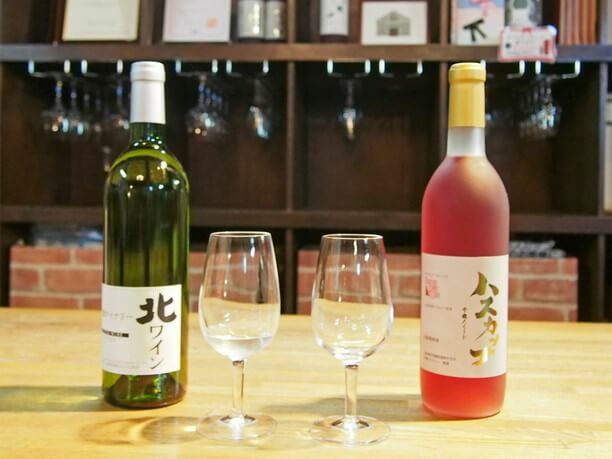 For about 30 years, they have made wines from Hokkaido grapes that has been highly acclaimed throughout the country. 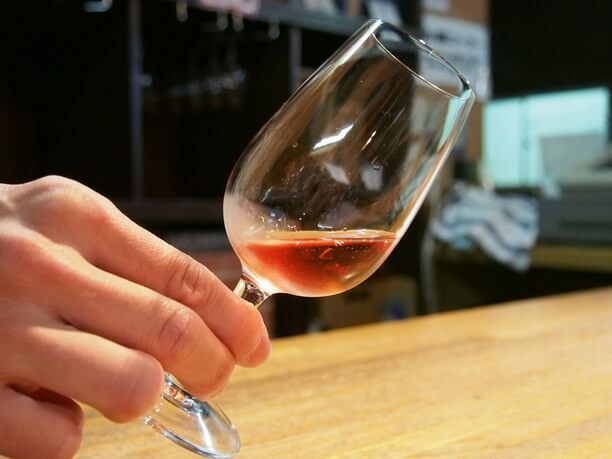 In the winery’s shop, you will be able to taste an unusual wine that uses the Hokkaido specialty fruit husk cup similar to the blueberry, “North wine” that uses Pinot Noir or Keluna grapes harvested at the Kimura plantation, contract fields at Yoichi Town. 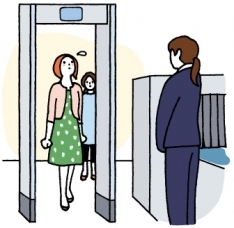 In addition, you can also have a factory tour with a reservation. 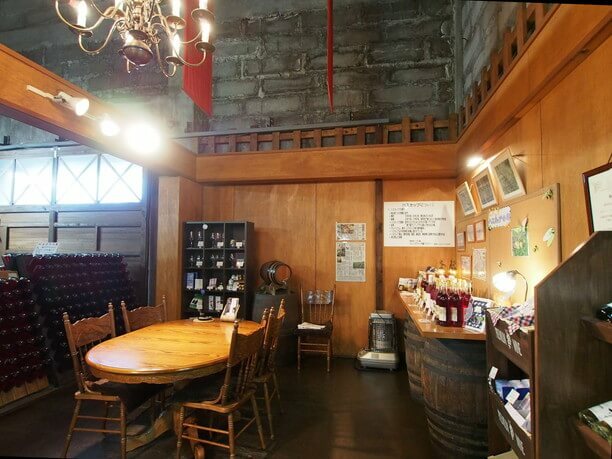 Visit this retro winery made of Sapporo soft stone that is close to the JR Chitose station! 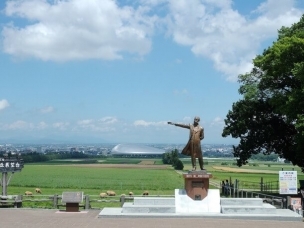 The Hokkaido Central Wine and Chitose Winery, is located 15 minutes by car from Shin Chitose Airport and 10 minutes on foot from JR Chitose Station. 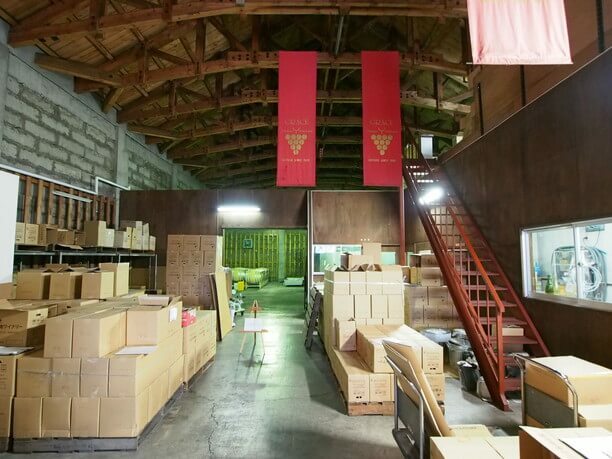 It is located in a building in Sapporo Sengoku which renovated a grain warehouse, and is now considered a landmark. 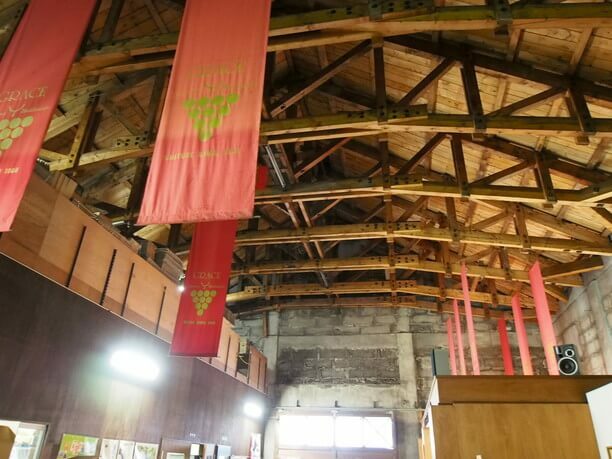 Currently, this independent Chitose Winery in Hokkaido produces about 35,000 wines annually. 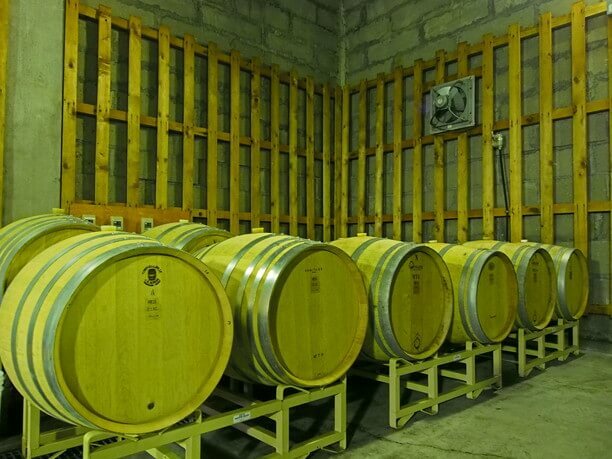 There you can experience wine tasting and purchasing, as well as a factory tour (reservation system). Wine shop and brewing space in one! 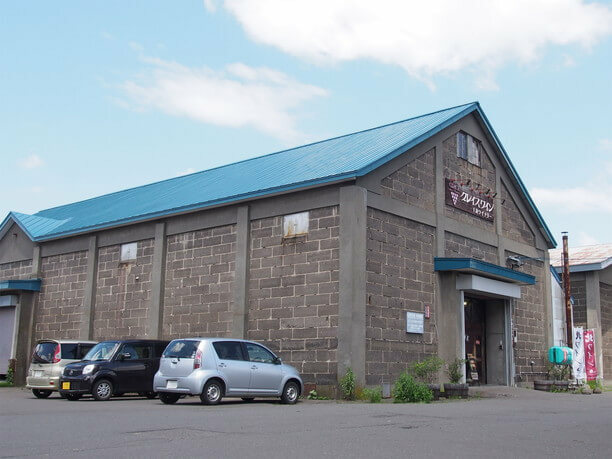 Their building has a retro atmosphere using Sapporo soft stone and was originally made as an agricultural cooperative grain warehouse in the Showa era. When entering into it, you will be overwhelmed by the height of the ceiling, and the wooden beams they used to support it. Because it will be quite chilly from October to April, if visiting during this time be sure and wear warm winter clothes. Just to the left of the entrance you will find a shop where you can purchase wines such as red north wine Pinot Noir, white north wine Keller, and husk cup sweet, using rare husk cup (discontinued as soon as inventory runs out). The back brewing space is not a place that visitors usually can go into, but if you make an appointment for the tour you can enter this part of the factory with a staff member. The site of their winemaking can be seen up close on a plant tour! The factory tour lasts 30 to 40 minutes and is free. It includes a guide and wine tasting. You can learn the process of winemaking while watching the winery workers in front of you. 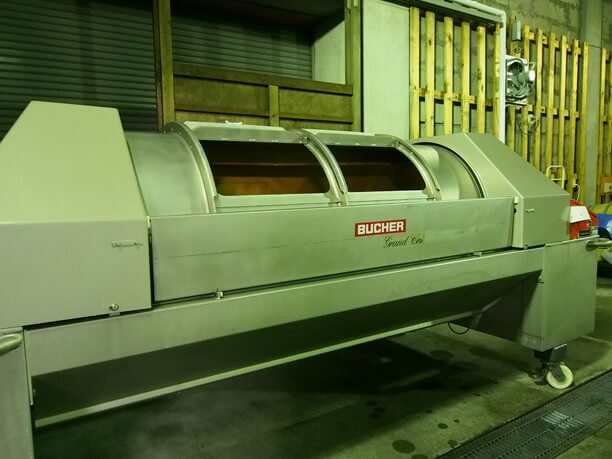 In the picture above is a wine press machine that squeezes fruit juices from grapes and husks. They also explain the working process of squeezing on the tour. 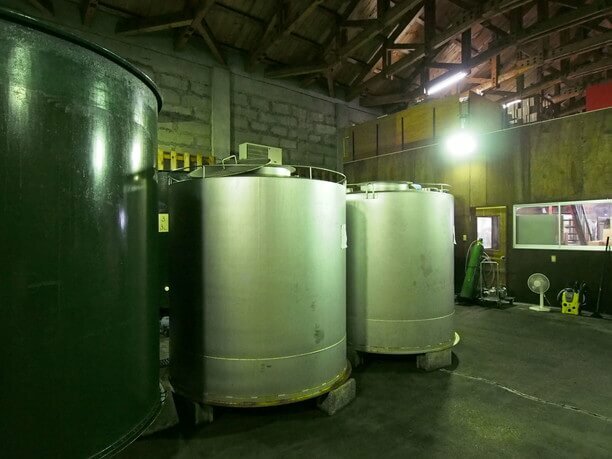 White wine is fermented and aged in this tank with fruit juice after squeezing with a press machine. In the case of red wine they do not squeeze the fruit juice and ferment it with the skin. Red wine is further aged in a barrel. The barrels above in the picture have Pinot Noir inside, which is said to be very difficult to cultivate. It will be shipped as a representative wine “North Wine Pinot Noir” of the Chitose Winery after aging it for about 8 months and then bottling it. Tasting wine made in a timely manner! 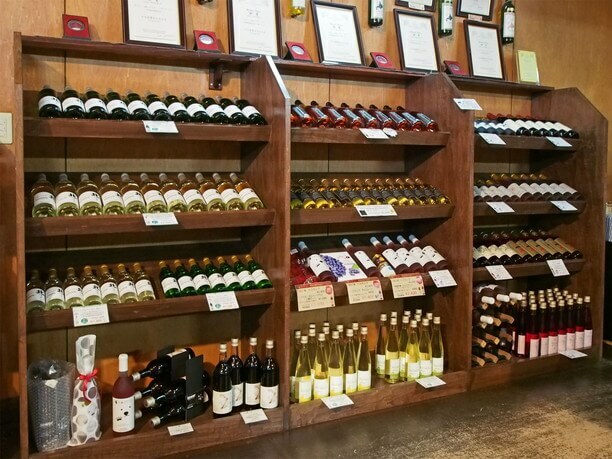 After the visit, you can taste the wine at the shop. When you are watching wine poured after you have toured the brewing site, you feel are more attached to the wine and brewing process. On the left in the picture above is “North Wine Keller.” It is clean and dry and has a good sour taste. It fits well with grilled chicken, asparagus and so on. The “Husk cup sweet” on the right, has a fruity sweetness and is perfect for aperitif or barbecue. When cold outside, we recommend hot wine as a drink. The husk cup sweet with its beautiful rosy color is made from fruits resembling husks like blueberries. About 30 years ago, the Chitose Winery produced this husks wine after many attempts through trial and error. Enjoy sweet and sour husk cup wines! There is also a main corner of the husk cup wine. They use Fruits that are growing up in Hokkaido and a small part of Honshu in Japan. 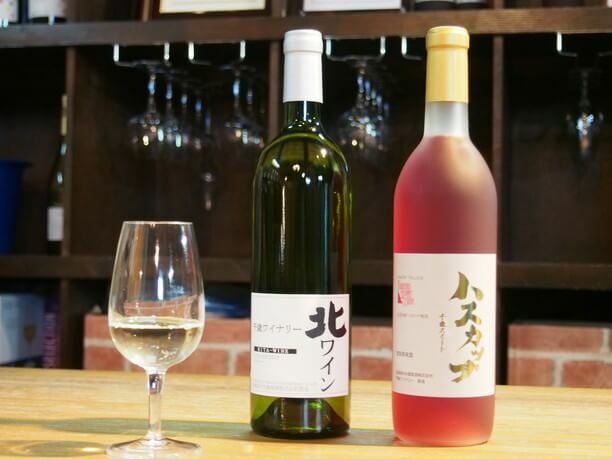 It contains plenty of anthocyanins, plenty of calcium, iron and vitamin C. It has been said that it is “a medicine for longevity.” Chitose winery’s husk cup wine is available from sweet to sour, so you can choose according to your preference. 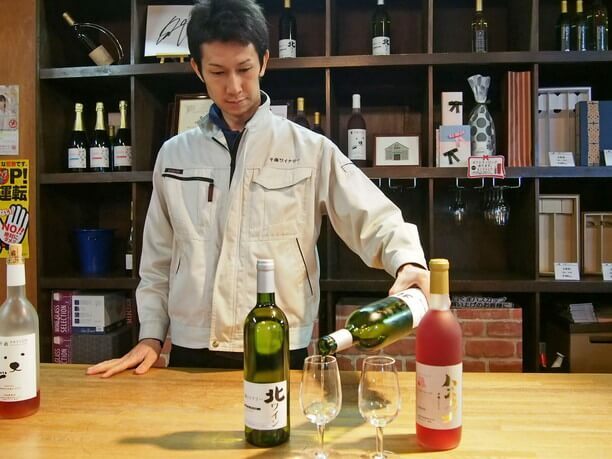 A wine from Chitose Winery is made by gently matured fruits raised in the land of Hokkaido. 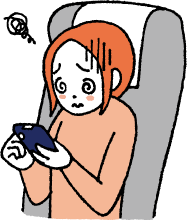 It is easy to access from the Chitose Airport, so why not try incorporating into your schedule a reservation for the factory tour. 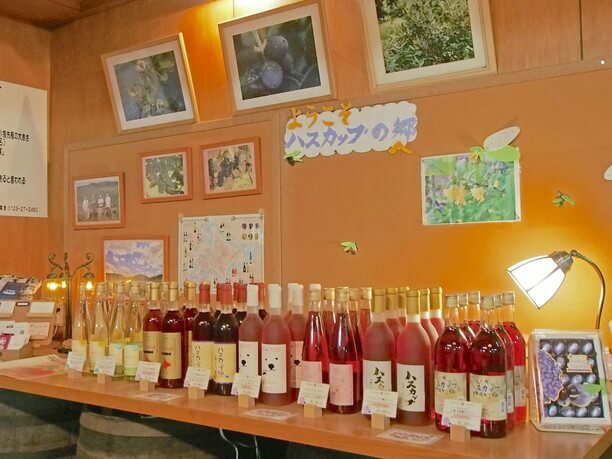 Because the number of production is limited, some wines will be sold out even if it is not specially limited. If you find a favorite, please purchase it on the spot. The factory tour is by reservation, but if you are lucky you may be able to get in on a tour even if you try to get a reservation the night before! At the shop, husk cup wine is sold at a good price, and there is also limited editions wine on sale. 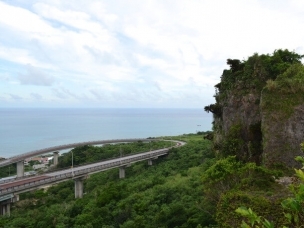 The Chitose’s Salmon Park is About 10 minutes by car from the New Chitose Airport!